60s band formed in 1959 on Merseyside and were a part of the Merseybeat scene. Key members have included: John McNally, Frank Allen, Spencer James and Scott Ottaway. 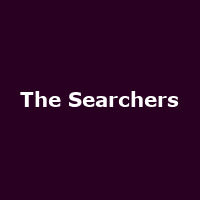 Mike Pender, the original singer on their hits, has formed his own variation of the band called (amazingly) Mike Pender's Searchers. The original line-up achieved hits with 'Needles And Pins', 'Sweets For My Sweet', 'Don't Throw Your Love Away' and 'When You Walk In The Room'.